Eurotech Racing is pleased to announce the retention of Jack Goff for 2018, with the High Wycombe racer set to contest a second consecutive Dunlop MSA British Touring Car Championship campaign with the outfit. 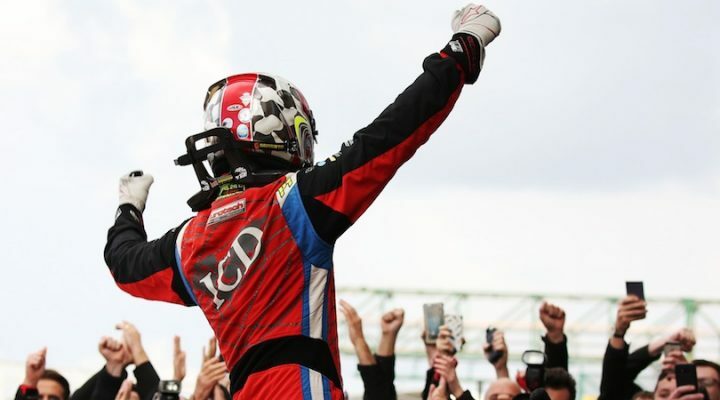 Eurotech and Goff proved a potent, successful and popular combination throughout the 2017 BTCC season achieving the highest number of pole positions with three, along with seven podiums, four Independents’ victories and one outright win. “I am delighted to have signed for my second year with Eurotech in the Honda Civic Type R,” said Goff. “It will be the first time I have been with the same team in the same car for a second year running which will be a massive positive for our championship challenge in 2018. “I get on very well with everyone at Eurotech and felt at home straight away there last year. “We are very pleased to continue working with Jack,” said Jeff Smith, Team Principal at Eurotech Racing. “We had a really strong season last year, we work well together and that has shown from the results, Jack fits in to our team dynamic perfectly. “To be able to confirm his seat this early on in the year enables us all to hit the ground running and press on with our 2018 plans and preparation.